Hello, your first shot is beautiful. Neat capture of the fog. Happy weekend! Love your fog shot a lot!! Wow - fog can be scary as well as beautiful. Enjoyed this post. I'd much rather leave driving in that fog to any professional driver and be grateful for their expertise. It looks pretty in your pictures, but it always scared me when I had to drive in it (when we lived in Oregon). 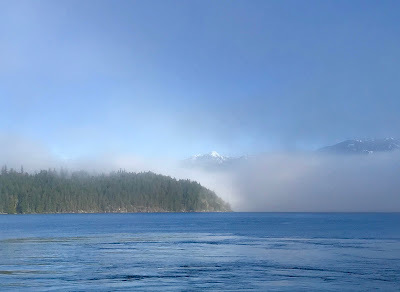 Kinda fun on a ferry in the fog. Hear the fog horns?